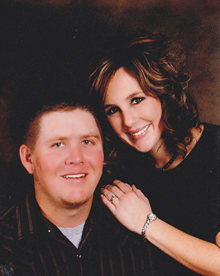 This entry was posted in Devotional God Is Who He Says He Is and tagged Bible Jesus on August 1, 2014 by stacie.snell. Let’s journey back to the story I blogged about last week. The disciples had found themselves in a wind and wave tossed boat with what they thought was a ghost walking on the water straight for them. Could you imagine the fear that must have been welling up within them? Yet, all Jesus had to say was, “It is I. Don’t be afraid,” and there goes Peter making the offer to walk out on the water with Him. “It is I.” That’s it. Jesus didn’t have to go through a long list of signs and wonders He had performed to convince Peter that He could be trusted. Less than 10 words and Peter was convinced enough to say, “If it is you, Lord, call me out on the water with you.” Peter knew His Lord. He not only knew enough about Him to know He could be trusted, He had experienced Him. Truly experiencing God leads us to shake off the shackles of fear and step out in faith. For the longest time, any time God would call me to step out in faith, He would have to first go through a list of all He had done in my life and all He is capable of doing. I would go through a list of all the reasons I couldn’t do it, mostly fears, but He would counter each one with, “Yes, but it is I…” Today, I see a difference. It doesn’t take Him nearly as long to convince me anymore, and that is a result of experiencing who He is in my walk with Him. Step by step I am discovering that He is who He says He is, and He can be trusted! I want every step I take to say, “I believe that God is who He says He is.” Are you with me, girls? 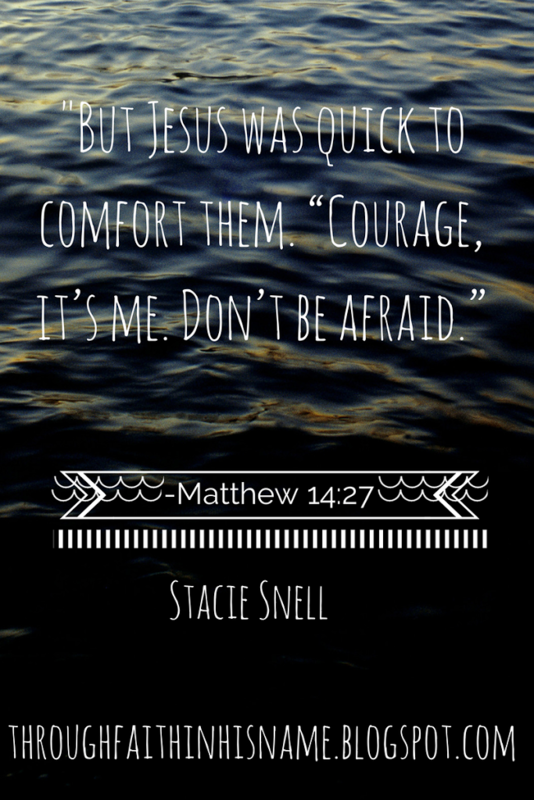 When Jesus calls me out, I want “It is I. Don’t be afraid,” to be enough to shed my fear and lead me onto the waters. I refuse to be weighed down by my fears. God is who He says He is and I want the way I live my life to show that I believe it! Lord, I am standing at the edge of my boat, looking into the eyes of you, my King. Lord, help me to remember who you are. When you say “It is I” bring to mind all that you are. Help me to remember all the ways you have taught me that you are who you say you are so that when you call me out, my faith in you will surely hold me up. Thank you, Lord, for all that you are. You amaze me. I trust you, Jesus. I love you, Amen. Thank you! Needed this today. Your blogs are so good. Thank you for faithfully stepping out of the boat and following your Jesus! Well said! Thank you for this inspirational devotional! Yes ma’am – celebrating the power and sufficiency of our Lord with you! !